Vintaged pink suede cover, soft enough to fold in the hand, yet strong enough to form a firm wrapping embrace, titled by a small satin padded heart. 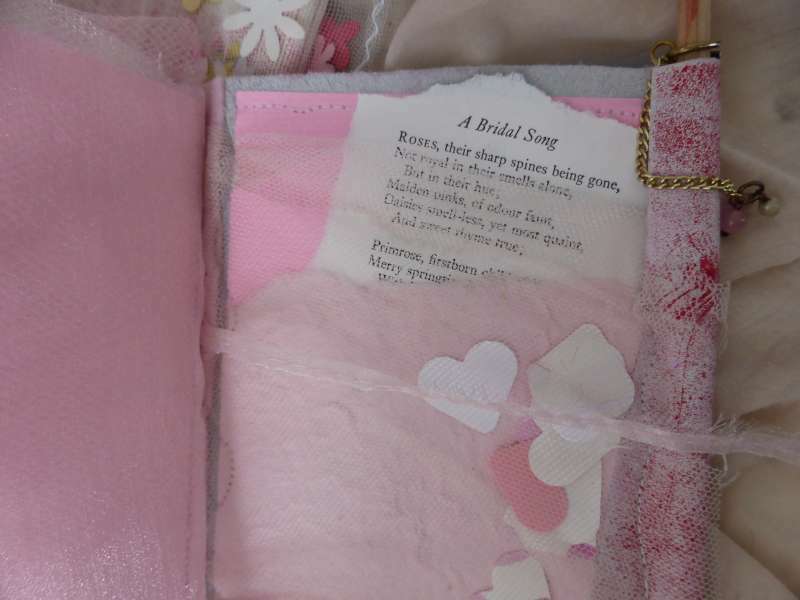 Book interior includes felt of delicate pink for stitching and pinning of buttons, ribbons, and lace. 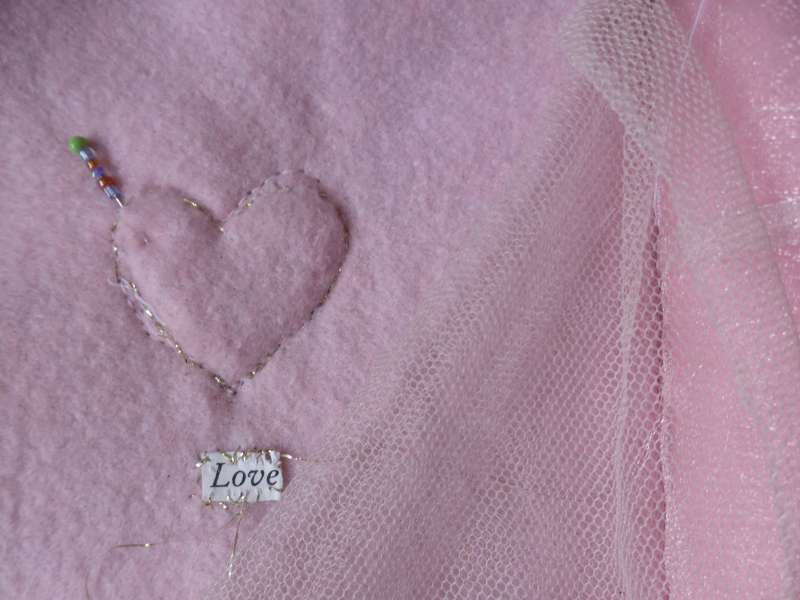 A stitched loveheart hand-picked in gold-effect thread and the hand-stitched word love form the seamstress' decoration. 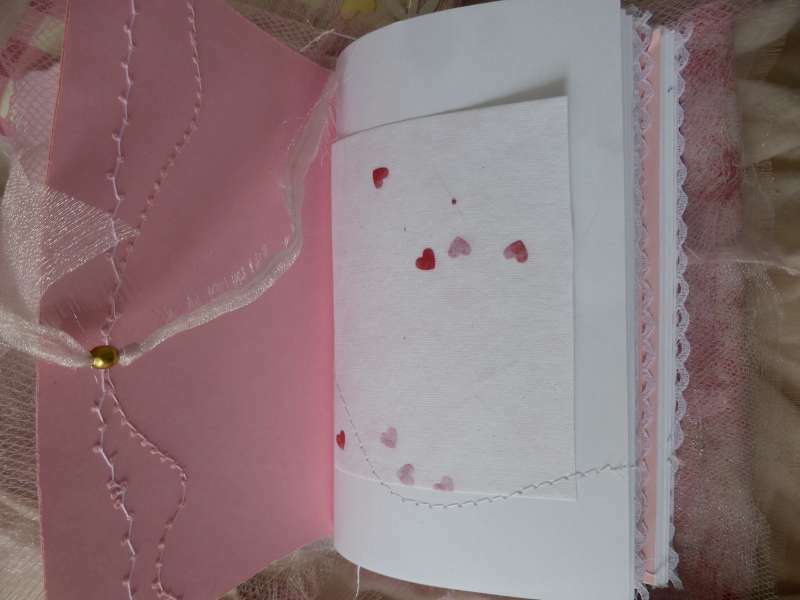 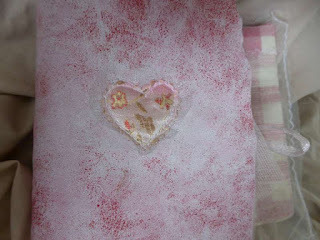 Net and organza touch the fingertips, and a loveheart-inclusion paper, made from recycled materials stitched into book to create little folders and pockets, can trap papers, cards, and notes. Lace decorates the paper edge to create a texture through the book. 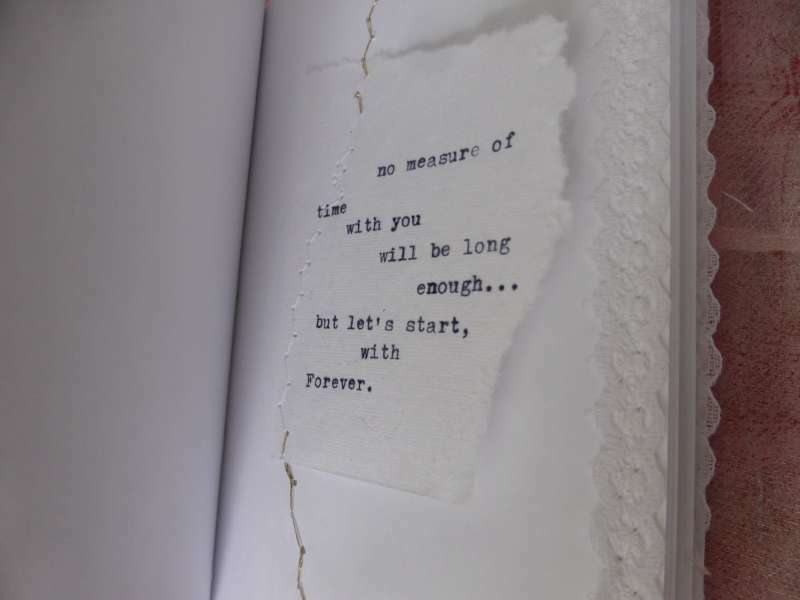 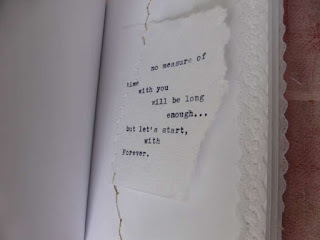 Clean white notepaper collects thoughts of the day; net at rear holds petals, confetti and memorabilia. 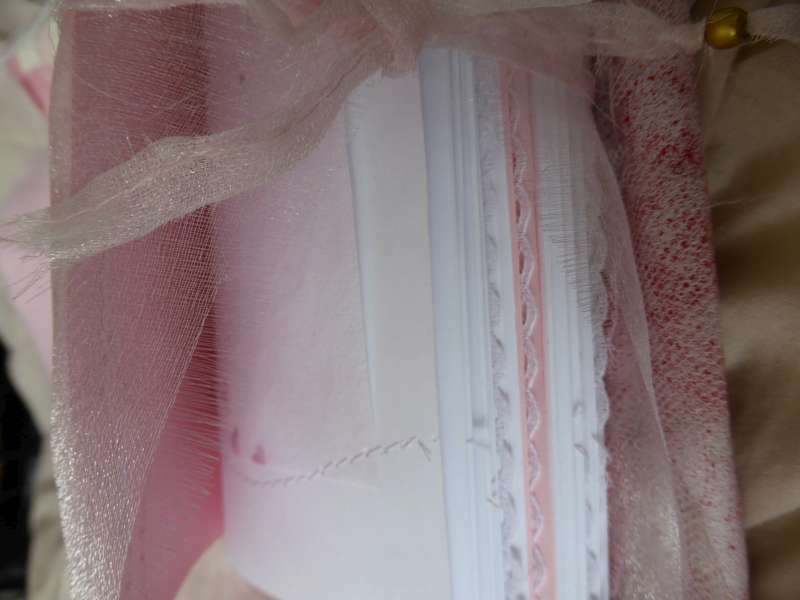 Supplied in a gingham bag wrapped with net, for flower heads and keepsake tokens.